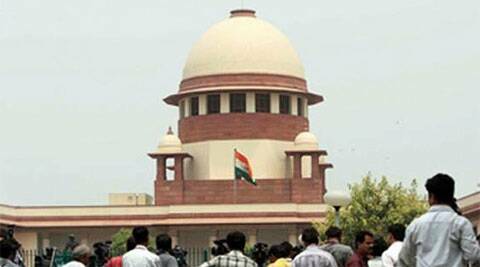 The Supreme Court Friday expressed disapproval at Delhi being without an elected government for an extended period, and asked the BJP and Congress whether they could form one. Intriguingly, a bench led by Justice R M Lodha also observed that the possibility of the two parties coming together to have a government formed could not be rejected offhand. “If parties can come together on an issue to defeat the sitting chief minister of a party (Arvind Kejriwal), it has to be supposed that anything can happen. Political situation in India has changed a lot now. Everything is possible now,” the bench remarked. On the issue of keeping the assembly under suspended animation, the court noted that as per constitutional provisions, no election can be held in Delhi for at least a year from now. “If this is the situation then the matter will require our consideration. What worries us, besides legality and constitutionality of the issues involved in the matter, is it is harmful for democracy if the state of suspended animation continues for one year,” the bench said. The court is hearing the Aam Aadmi Party’s challenge to the imposition of President’s Rule in Delhi. The court was informed that neither the BJP nor the Congress had approached the lieutenant governor to stake claim to form the government; the latter had not invited them either. “In this situation, we will issue notices to both BJP and Congress. Issue notices to them to know their position,” the court said, while fixing the matter for April 1. The court, which had earlier kept the two parties away from the hearing to prevent the case becoming a “political contest”, decided to know their stand after noting that neither party had made its position clear on formation of the government following Kejriwal’s resignation. Attorney General G E Vahanvati disputed the proposition that elections cannot be held for at least a year due to the assembly being in suspended animation, and said the constitution provided remedies to overcome this impediment. Senior advocate Fali Nariman, appearing for AAP, however, said this was how the provisions read in the law, and hence it was necessary to call upon the two other parties to make their stand clear. The bench also considered whether the court could advise the President to reconsider the proclamation, or have other possibilities explored in view of the fact that no party seemed to want to form the government. The court underlined the peculiar situation in Delhi where the candidate (Kejriwal) who defeated the sitting chief minister (Sheila Dikshit), got her party’s support to form the government. “And when the party in power came out with the Janlokpal Bill, the Congress, which was supporting it, joined hands with its rival BJP and did not allow it to be tabled in the Assembly. It shows nothing is impossible in politics and two parties, which don’t meet on any platform, can still find a platform to meet,” it observed.